The rise of video marketing has been one of the most exciting trends in recent years. And it isn’t slowing down anytime soon. The U.S. digital video marketing industry is expected to reach more than $135 billion this year, according to Magisto. The pace of video creation is getting faster as companies seek to find new ways to reach consumers and tell their story. Much like any marketing, video marketing has become a practice that requires thoughtful execution in creative development. Previously, YouTube has previously ruled when it comes to video, it’s no longer the only platform considered for sharing video content. The massive size of the online video market can largely be attributed to the growing focus on video across media channels. Facebook, YouTube, Instagram, Twitter, and Snapchat are relevant. Especially relevant is that reference has shifted among consumers, who increasingly prefer to receive information through the medium. Contrary to popular belief, a video doesn’t need to go viral to be successful. Video combines the emotional impact of a story with the effectiveness of digital advertising. Consequently, it’s a perfect way for businesses to genuinely engage with consumers. Videos can also generate far more emotional cues than a photo can, with the ability to tell an extensive story and appeal to a wider range of senses. One of the most interesting and under-appreciated concepts in the video marketing space is the ability to track the engagement of each viewer. Since video is a streaming content medium, marketing professionals can track second-by-second viewing habits. We can trigger immediate actions based on how that person engaged with the content. We can use video to bring people an interactive story and in return use the analytics behind the scenes to uncover insights. Then, you can even drive action toward your brand or products, which is a very powerful concept. Additionally, coupled with this concept is the ability to track detailed insight into the behaviors of viewers and the performance of video content. This just isn’t possible with traditional text and image-based content. Especially relevant is the ability to track view counts and minutes watched, but we can now understand which videos are best holding people’s attention. White papers, presentations, and customer case studies are helpful tools. However, nothing beats video when it comes to educating buyers and building an emotional connection. If we had told you 10 years ago that businesses would soon have entire teams dedicated to social media, you likely would have called us crazy. Well, now organizations have dedicated video marketing teams. Yes, this is where all the magic happens. Today we’re seeing more and more companies hiring interactive developers, videographers, creative directors and other video production talent. Therefore, there is growing importance of video as a content medium and the incredible potential for interactive content. A personalized video, video as a sales tool and more — this one almost seems like a given. This movement is critical to enable businesses to scale content production with the needs of their marketing and sales teams and the expectations of their customers. Furthermore, if your business hasn’t hired video talent or built out a simple video studio, it’s time to transition. In conclusion, leveraging video marketing is a powerful strategy to promote, brand, and grow your business online. 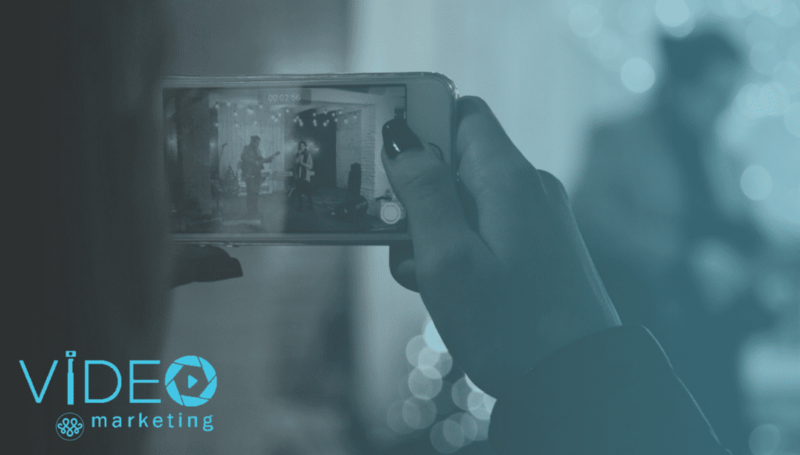 More consumers are interacting with videos today than ever before and, in 2018, it’s vital to create video content and ramp it up on multiple platforms to connect with your audience. Learn more about MAKE’s video process here.